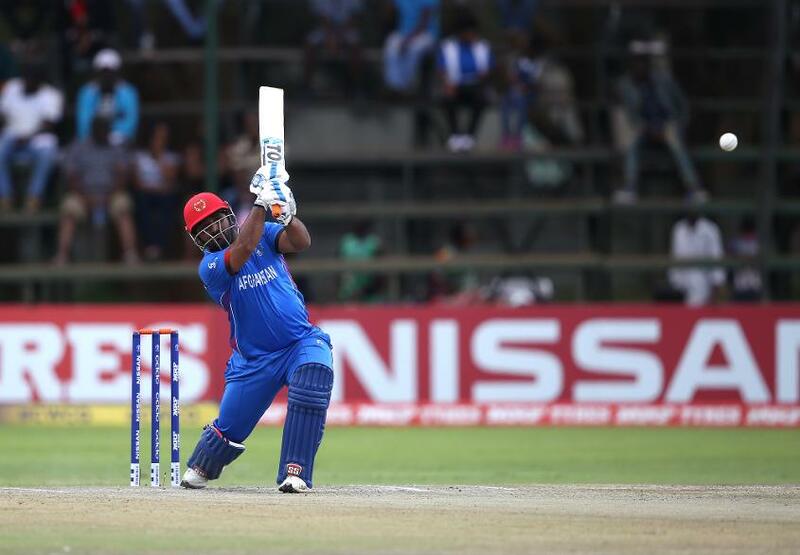 Afghanistan’s Mohammad Shahzad thinks his side are capable of reaching the semi-finals of the ICC Men’s Cricket World Cup 2019 in England and Wales. Having performed a miraculous comeback at the Cricket World Cup Qualifier in Zimbabwe to book their spot at next year’s tournament, Afghanistan come into the World Cup as the lowest-ranked ODI side of the ten competing nations. However, with the top-two ranked ODI all-rounders in Rashid Khan and Mohammad Nabi in their ranks, as well as a number of explosive batsmen, they’ve proven themselves well capable of causing a shock. Afghanistan enjoyed an excellent 2018 Asia Cup campaign, beating Bangladesh and Sri Lanka to top Group B, before pushing Pakistan close and tying with India in the ‘Super Four’ stage. A strong showing against local rivals will give Afghanistan confidence going into the World Cup, where big-hitting wicketkeeper-batsman Shahzad thinks they can make it to the knockout stage. “On our day we can beat any of the sub-continental teams,” Shahzad told Sportstar. “Our batting is coming together, we have fast bowlers in Dawlat Zadran and Aftab Alam and you all know about our spinners. Shahzad made the headlines recently after hitting a breath-taking 74* off just 16 balls in the UAE T10 league. His aggressive style at the top of the order has long been a staple of Afghanistan’s batting line-up, and it’s not a style he’s looking to change anytime soon – no matter who he’s up against! A limited number of tickets to watch Afghanistan at #CWC19 are on General Sale now. Click here to buy yours.